Kathleen Ernst’s latest project taps into the decade she spent as a curator at a large historic site. 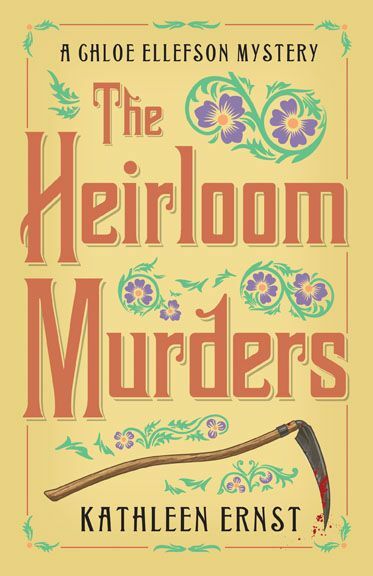 The Heirloom Murders was recently released and the third Chloe Ellefson mystery, The Lightkeeper’s Legacy, will be published this fall. 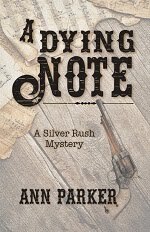 Kathleen’s fiction for young readers includes eight historical mysteries. Honors for her work include Agatha and Edgar nominations. Kathleen lives and writes in Wisconsin, but takes great pleasure in research trips to new locales! 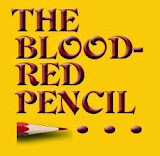 Welcome to the Blood-Red Pencil, Kathleen. As a big believer in sloppy first drafts, I try not to censor myself when capturing ideas. My fingers fly and words fill the pages. When I revise, a lot of those words disappear. That wasn’t always the case. 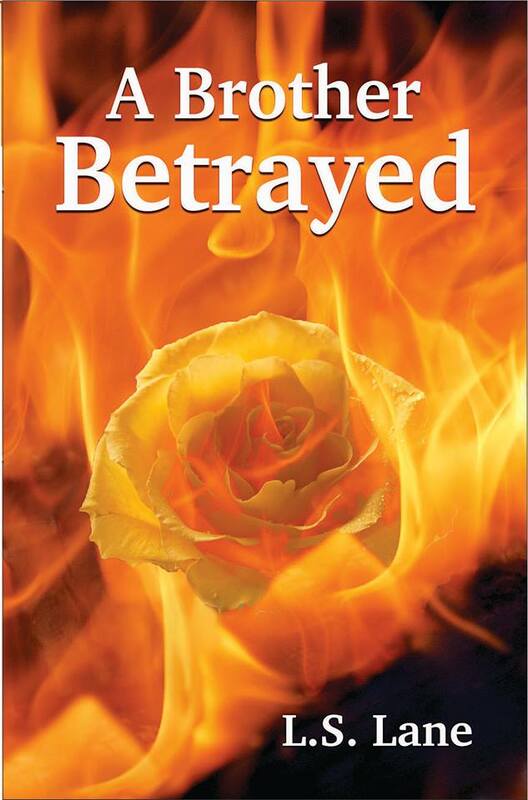 My first three novels were published without making any significant revisions. 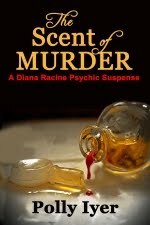 Then I began writing books for the History Mystery series published by Pleasant Company. The business model for these kids’ books dictated a target word count. My rough draft for one of them, Whistler in the Dark, was more than thirty percent too long. First, I panicked. Second, I reluctantly identified a chapter that could go. Third, I crept through the manuscript looking for places to trim. I examined each sentence. Was it necessary? If so, could I rewrite it using fewer words? Facing the manuscript with scalpel in hand was excruciating. By the time I reached the end of the book, snipping a word here and a phrase there, I had wrestled the count into acceptable range. Midnight Ink, the publisher for my latest project, the Chloe Ellefson mysteries for adults, also needs manuscripts to fall into a certain target word count range. When MI picked up the first Chloe novel, Old World Murder, the editor asked me to cut the length by about a quarter (I axed twenty thousand words.) Trimming five thousand words from The Lightkeeper’s Legacy, my latest Chloe mystery, was time-consuming but painless. I cut one short scene that didn’t belong, and lost the rest simply by tightening up my prose. I’ve needed to cut length on the last eleven books I’ve had published. The most important thing learned along the way? I don’t miss what was lost. Since I wouldn’t have discovered this if I hadn’t been forced to, I often present a challenge to students in classes and workshops. You can play, too. 1. Choose a short story or novel chapter that you’ve been working with. Not a first sloppy draft; something you’ve revised. 2. Copy it into a new computer document, or make a clean photocopy of the pages. This is important! You won’t feel emotionally safe making changes without knowing that you can return to the original. 4. Cut that word count by twenty-five percent. If your first pass through doesn’t do it, work your way through again. Repeat the process until you have reached the goal. 5. Put the manuscript aside for at least a week. Then read the leaner version, without checking it against the original. If you truly miss something you deleted, replace it. Voice and style sometimes trump all else! I suspect, though, that you won’t miss a lot of what was cut. Give the challenge a try! I think you—and your editors and readers—will be glad you did. I’m grateful to Dani and the other Blood Red editors for allowing me to visit. And I’m grateful to readers! I love my work, and I’d be nowhere without you. Leave a comment, and your name will go into a drawing for a free book. The winner can choose any of my seventeen titles. 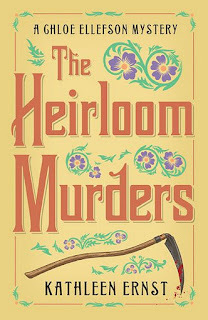 The Heirloom Murders, one of my American Girl mysteries, a Civil War novel—the choice will be yours! 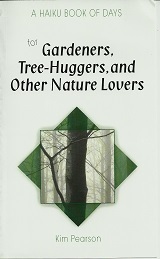 To learn more, please visit my website, www.kathleenernst.com. 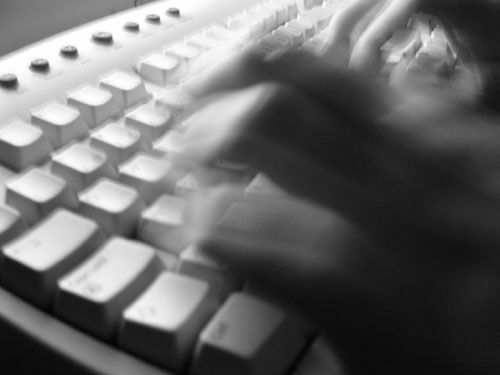 I write tightly, so my problem is usually needing to increase my wordcount. Effective and relevant padding is really hard, too. It worked! Check out my latest: John loved Jill. Jill loved John. They married and lived happily ever after. This is a great challenge for students, Kathleen. I learned to trim my own work through years as a journal and magazine editor facing absolute limits in column inches. There is always a way to trim 20-30% even with a dull knife and a broken lead pencil. In my own fiction, I, too, run into Elle's problem. Many times my first drafts can be too spare and need enrichment and filling out. Even so, my writing is often described by reviewers as "clean" or "elegant" or "straightforward prose," which I take to mean I haven't overwritten. I don't like arbitrary "quotas" when editing. 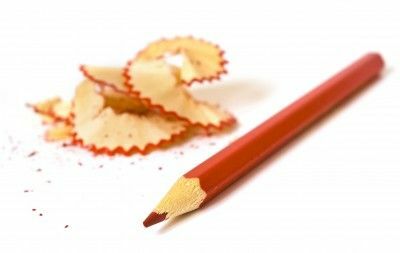 Different writers have different writing styles and some should be adding even as others are cutting. Personally, I find that it depends heavily on the chapter. If I stuck to the 10% rule (Stephen King has preached this, among others) or even 25%, I would do my writing no justice. Sometimes I have to do a rewrite and it's 50% longer and 100% better. Sometimes I end up cutting 90% of the words out and dumping them in the trash. It all depends, but I do think it's a good thing to go into writing with a finger on the delete button. Usually (but not always), and even after rewrites, it's a good thing to trim the fat! Thanks for the comments. Just to be clear, I don't mean to suggest that any single writing tip is right for everyone. I envy those of you who hage developed a tight style! I've improved a lot over the years, but my early drafts are still too worry. But--needing to flesh out a story doesn't necessarily mean that excess verbiage isn't an issue. Wait until you have a draft you are happy with, give it a rest, and then give it a try. You might be surprised! Welcome, Kathleen! I was intrigued by your comment that sparse writing might still contain excess verbiage. This is a great point. I often ask writers how a scene or wordy description moves a story forward. The answers often range from a stammered "I don't know" to a thoughtful "I guess it doesn't." And as you note, padding may be tight, but the original bare-bones content may still contain a bit of fluff. Your post makes great sense. Thanks for sharing. Thank you for your comments. Taking words away is a great way to be precise. I like your cover & would like to read your books. Excellent, Kathleen! I always try to challenge my editing clients to cut: one word from each sentence, a sentence from each paragraph, etc. It's fun! Glad to see my fellow WWW member here at the BRP! Wonderful exercise to recommend. I have read many of the American Girl books and remember when they began. I have a full set of the original Felicity stories about Williamsburg in the 18th century. When my husband and I took a long trip to Williamsburg, the interpreters at each site recognized that little girls knew more of the early American history than little boys, because of the doll and her stories! Keep writing, and keep sharing your wonderful ideas with all of us. Very good advice. I tend to not censor (or not censor too much) in the first draft, then I cut and re-work during the editing phase(s). Heidi - I'm honored to be here! Terry - my mom was a librarian, and I learned to love history through the stories she brought home. The notion obviously stuck. Thanks for the kind words. Helen - your process sounds similar to mine. I think that not indulging in too much self-censoring in a rough draft can keep the energy going. That strategy can be especially for people working on their first book. It's easy to tinker with the first chapter, and never finish the book; very empowering to sit down with an entire draft ready to edit. Hi everyone! I've been offline all day - hubbs and I always take Valentine's Day off. Sorry about the little typo in the intro, Kathleen, and thanks for dropping in to visit us! I felt your advice was excellent. I'm editing some short stories right now that could use a 25% reduction in extraneous adjectives - this is where good editing makes such a difference. I work the opposite way, too. Always trying to reach a word count in articles and in my book. And I hate when I'm trying to add words into a section and end up with less than I started with! Great suggestions. Love your books. I, too, have lots to learn in this writing business. Keep the stories going. In our critique group we discovered another way to shorten a novel. If you've tightened and want every scene, begin the book further into the original start and make what goes before back story to be sprinkled in sparsely. Many people actually begin their story too early. Elle, does MSWord still allow for that word-cutting trick you used to teach in your Word classes? Do you know what I'm talking about? Welcome, Kathleen. I'm late to the party because I'm presently re-reading my edited ms to seek 3,000 words to cut, at the request of my agent. Artistic integrity aside, folks, this is often a business matter--and if you want to get published, you'll accept the challenge! This is a fine glimpse into the real work of a published author, thanks! Thanks to everyone who shared their thoughts. I always appreciate hearing other writers' perspectives! Thanks to Dani and the other editors as well, for hosting. And congratulations to Alice, who's name came out of the bonnet in the book drawing! Only up to Word version 2007. Microsoft have inexplicably removed that excellent feature in Word 2010. Great post, Kathleen. One of the things I look for in editing are redundancies. They tend to creep in and sit there taking up wordage. I've dumped whole pages, even a chapter, only to have my editor tell me it was needed and back it went. Such a learning process! I can't say I write tightly, but I can say I also have to add words. I'm just not a babbler when writing. It would be a good exercise to try.